Daring and Young Real estate became a reality in 2016, and from there we have been working hard to deliver absolute excellence in the field. Our team set out with a dream to be Daring and make selling or renting your property more cost effective. In 2018 we launched our Fixed Real estate campaign, showing that its not all about the money for us, its about getting results that our clients deserve. Our unique sales approach consistently achieves amazing results for our clients. We constantly examine every area of our agency to push the limits of what we can offer. The result: A service that is unmatched by any other agency in Townsville. Already, our homes are on the market for up to 87 days less then average, meaning we have over 115 really happy owners! That means we have sold at least 1 property every week since opening our doors. 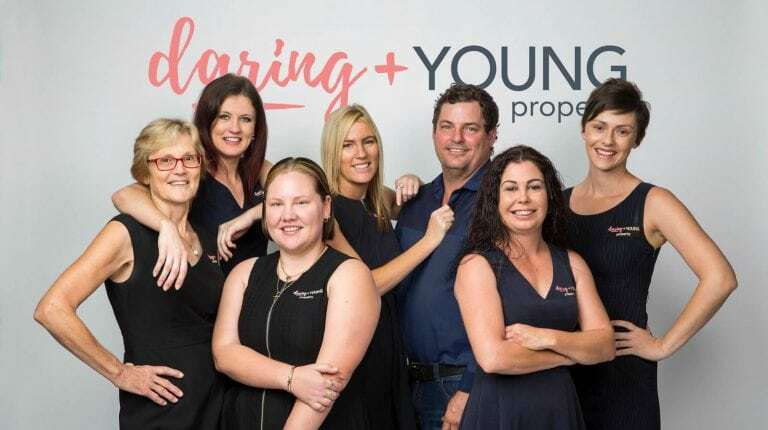 Keep Daring & Young Property in mind when you are looking for a real estate agent in Townsville that you can afford. Not only will you get the professional service you deserve, you will also be getting the benefit of reduced pricing for services along the way. We understand that the current Townsville real estate market is less than ideal. This means that there is a real estate slump that we feel we can help turn around. Part of our intent to do this includes a reduction in fees to you as the consumer. We want to incentivize real estate movement as much as possible by offering great service at a price you cannot afford to say no to. We take pride in offering a customer focused, effective, influential real estate service plan that is second to none. We have entitled it, “The Daring & Young Difference”. Here is what you can expect when you take part in The Daring & Young Difference. Our clients experience the benefit of our customized, effective, unique sales approach that provides incredible results in tough to sell markets. We strive to embellish and improve our techniques constantly in order to provide our clients with the best possible real estate experience. In the end, our innovative and effective real estate marketing plan has offered the best possible results to those in the Townsville area. Additionally, our clients benefit from being able to make the most of the most affordable commission rates in Townsville by working with our team. Keep in mind that our marketing design is and exclusive, all-inclusive proposition. 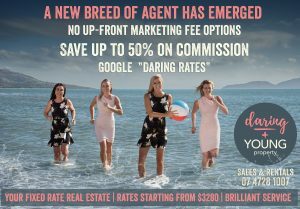 The truth is that with Daring & Young Properties, we have zero up-front costs and never hit you with any kind of hidden fees. Until the final sale of your real estate property we take care of all required marketing expenses. Don’t hesitate to reach out for more information about our property marketing plan and how you will benefit by partnering with us today. Expect to hear back from us right away when you take the time to fill out this information form or give us a call. We look forward to hearing from you soon. There is no upfront payment of fees required and we offer attractive payment alternatives. Drastically reduced commission percentage rates. A sales approach that is factual and straight forward. A refreshing approach to real estate that is centered on integrity and direct honesty at all levels. An approach to sales that makes the most of the offered price, to your benefit. This approach includes a strategy for selling that is evidence based, bringing the results you want at the right price. We bring a whole new level of marketing expertise to the table with approaches that are more successful than you have ever dreamed possible. A sales technique that is based on a friendly yet influential approach. Our approach to sales is proactive and unique. Getting the photography right for your listing is an essential part of the plan. We help provide expert photography in order to clinch the sale. This Section has been Intentionally left blank and will be replaced with a testimonial feed. Are You Ready To be Daring?